The project brief was to create a bunch of illustrations, aimed at being printed on merchandise and sold at an ecommerce site titled “The Hippogriff”. These illustrations would be placed on everyday products like laptop sleeves, tote bags, throw pillows, cell phone cover, notebooks etc. This project earned the SEMIFINALIST status in the Adobe Design Achievement Awards. It was also featured on designideas. 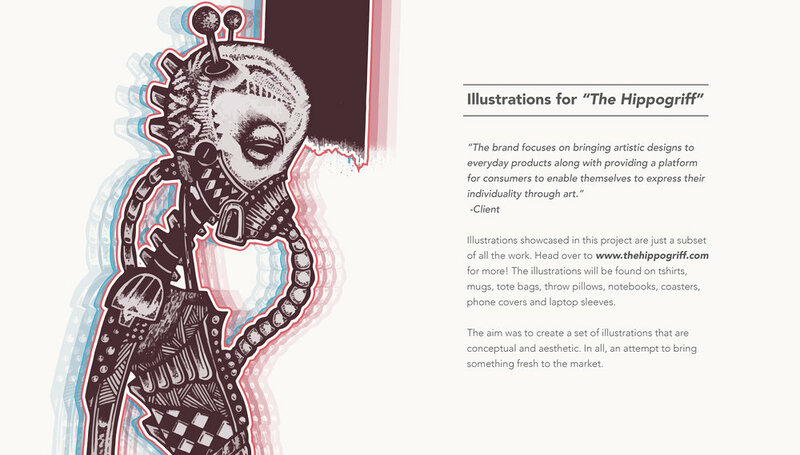 Design Tip: You have to make thousands of drawings before an illustration is perfected.